Wait a second… that’s the end?!?! I’m a huge fan of series writing. Some of my favorites include: Harry Potter; Cassandra Clare’s Shadowhunter series (two separate series); The Hunger Games; Legend series; Divergent series; Chaos Walking; Across the Universe. The point I’m making: I love series. I am the ideal target audience for them. But, I have a caveat. I’m not a fan of the new fad emerging, in which writers/publishers capitalize on series popularity by publishing half a story and calling it the first installment of a series. I need a complete story. I’m okay with cliffhangers, more okay than some readers. I’m cool with loose ties and emerging mysteries that will carry on in the next book. But I do need a complete story within that first book. You can’t just chop off the book at the midway point of the story, and say … Well, that’s all folks! Tune in next year to find out more. That just doesn’t cut it. 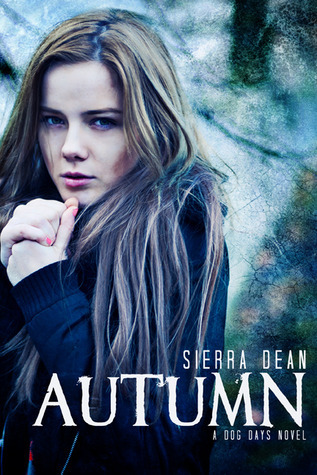 A recent example of this is the book “Autumn,” by Sierra Dean. The first of the Dog Days series comes to an abrupt end. So abrupt, I stopped and said out loud, “Wait a second … that’s the end?!? !” I felt as if I should be hitting the mid-point of the novel. The new girl had moved to town; she’d found the outcast boy and ventured into a new relationship with him; she learned there was some sort of supernatural mystery under way; and she’d been threatened to stay away from him. At the moment when it seemed the real action was about to begin, the book was cut short. The story itself had pulled me in. It was slightly shallow, compared to the writing of Patrick Ness or Beth Revis, but it was adequate. Not every book has to delve deeply into its characters’ psyche, particularly if it’s not testing its characters’ integrity in difficult circumstances. But for a little supernatural romance, it was doing its job. Until it wasn’t, that is. Can you imagine if you read the Hunger Games, and the first book left off right after Katniss arrived in the tournament? A good series will offer readers a complete story within each book, while continuing a larger story arc to follow-up books. Anything else should be published as a serial, hopefully with publish dates that are months apart, rather than the typical year or two you wait for a new book in a series. Authors or publishers who ignore this unspoken rule will only aggravate readers and hurt themselves. I can’t speak for anyone else, but I doubt my interest will last until the next book of the Dog Days series, given that the story dropped me cold.